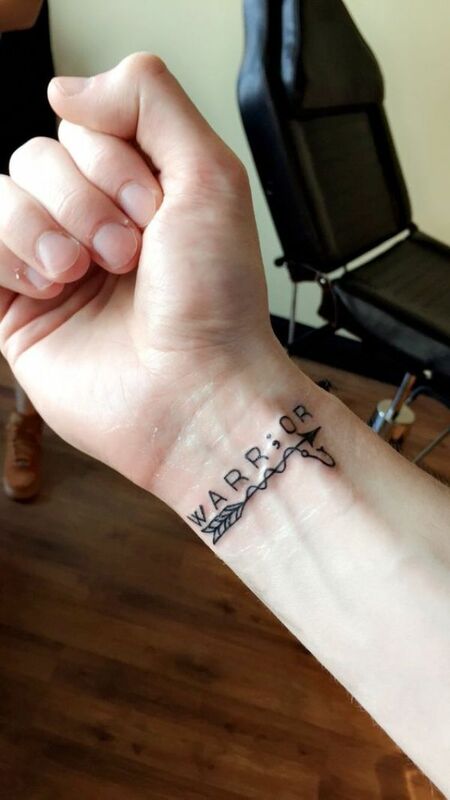 Again, why are people getting inked with this design? 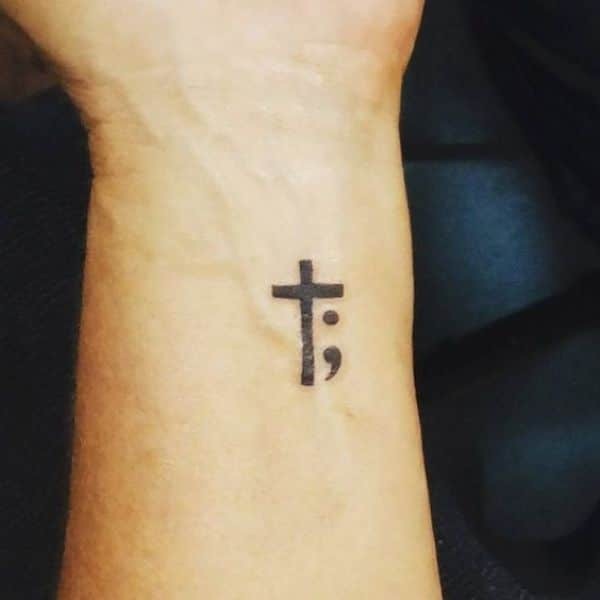 What does the tattoo stand for? 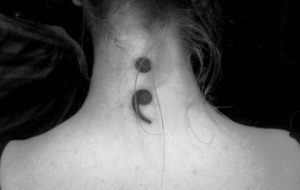 According to Project Semicolon, the tattoo is used when an author could have chosen to end his or her sentence but chose not to. The author is you and the sentence is your life. 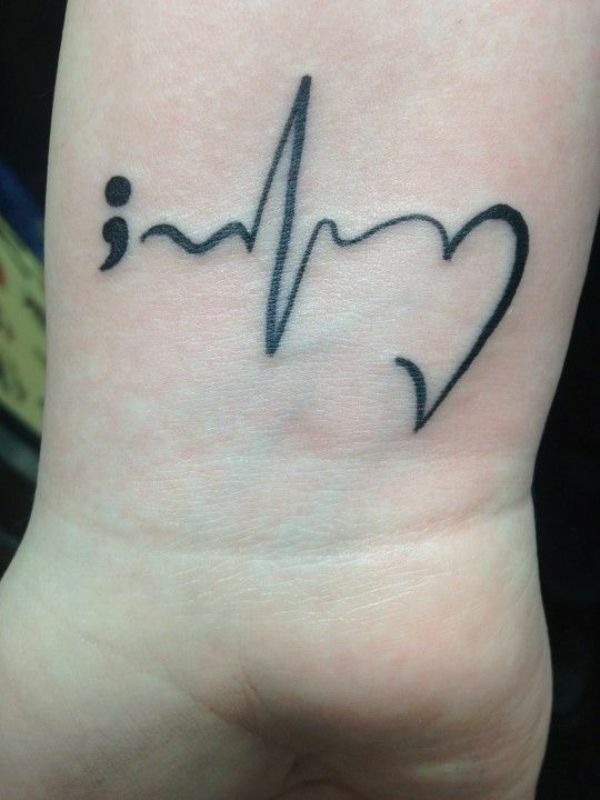 Incidentally, Project Semicolon is an organization that aims to help prevent suicide. 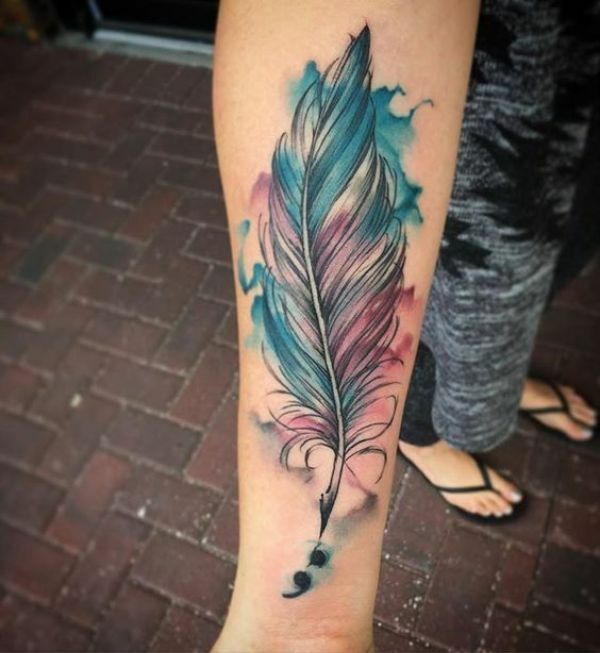 The movement and the tattoo design is fast gaining momentum that even the popular show 13 Reasons Why had an episode showing one of the characters intending to get the same ink. 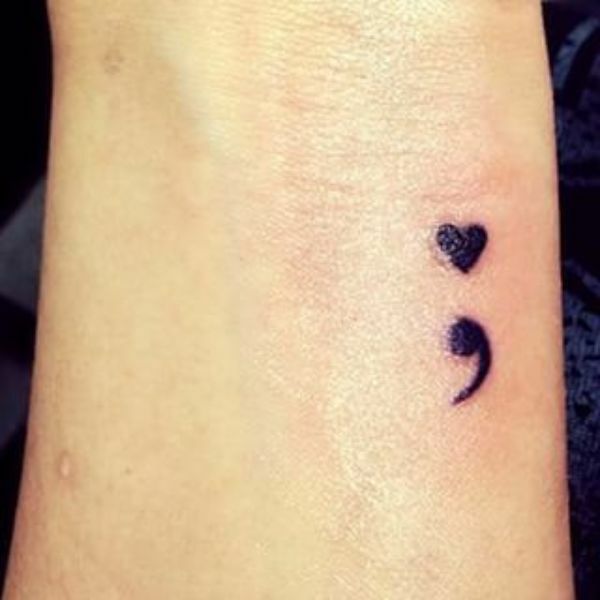 In real life, celebrity Selena Gomez, and casts from the show 13 Reasons Why such as Alicia Boe, Brandon Flynn, and Tommy Dorfman all have this tattoo. Compared to a 2D tattoo, a 3D ink appears strikingly real. 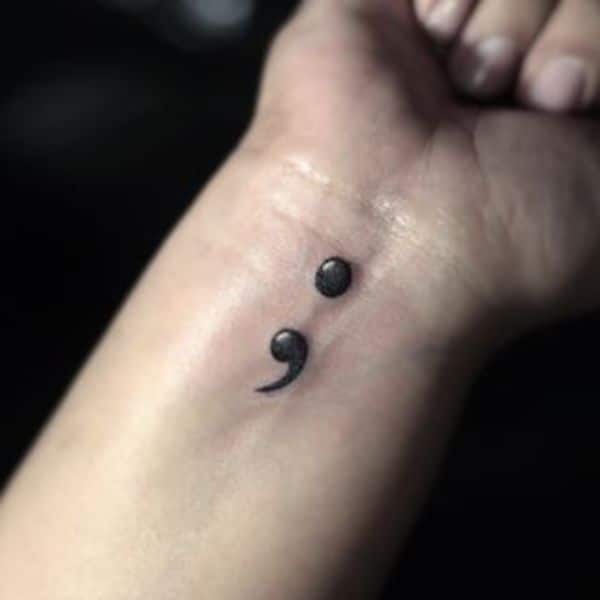 Aside from inking a semicolon, one way to jazz your tattoo is to add another word to give you hope. 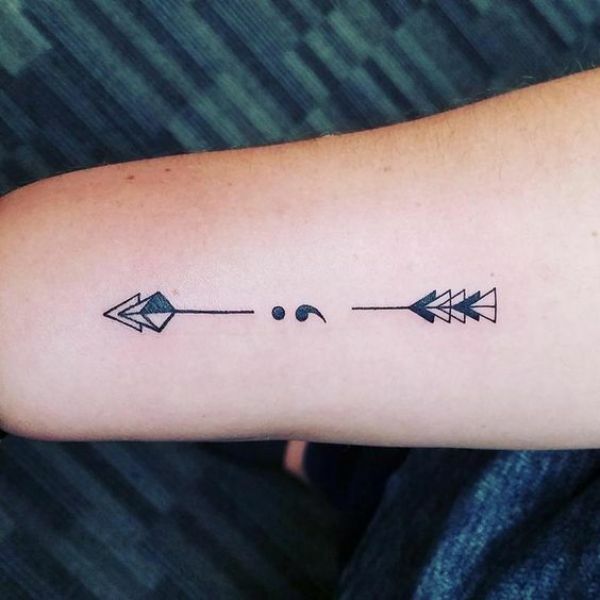 Adding an arrow to your semicolon ink is likewise symbolic. An arrow stands for ones courage to move forward despite circumstances. Butterflies represent change and freedom in one’s life. 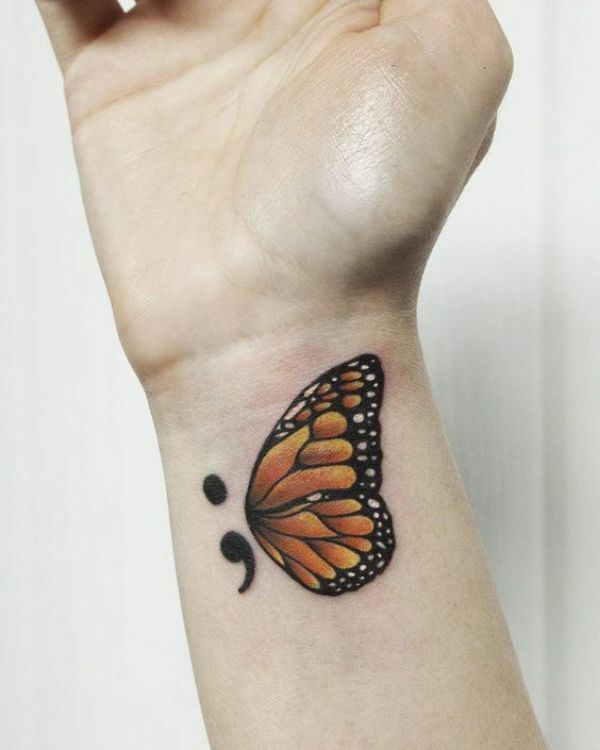 Decorating your semicolon ink with a butterfly is such a meaningful tattoo. 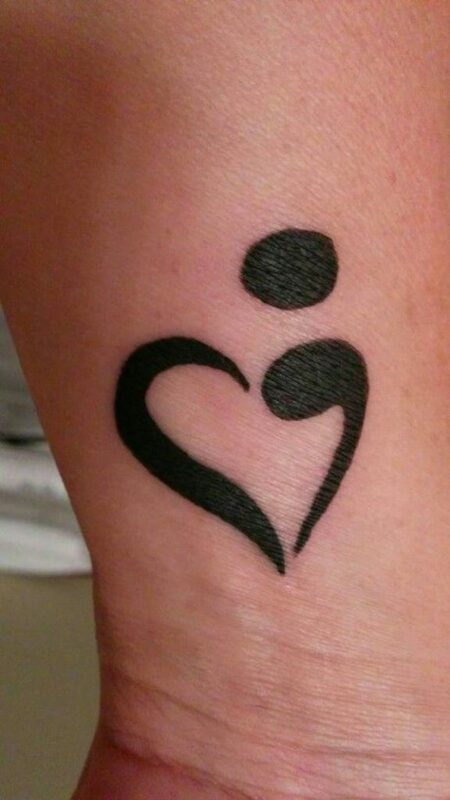 Normally, a heart tattoo symbolizes love and passion. 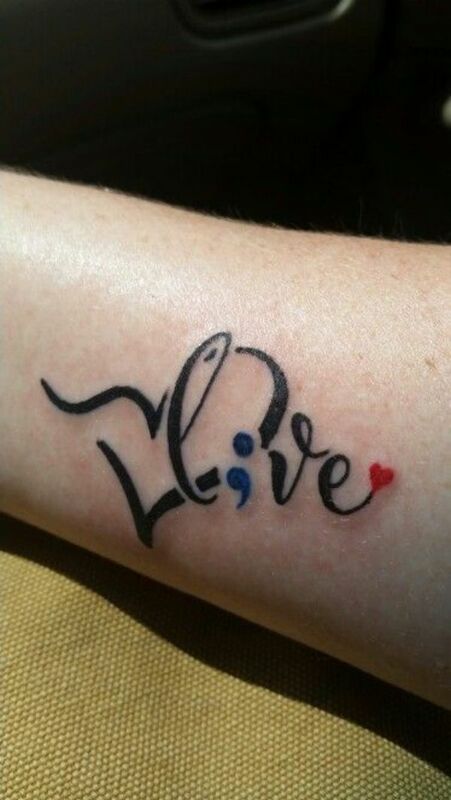 What great way to show your love of life by combining a semicolon and heart tattoo. 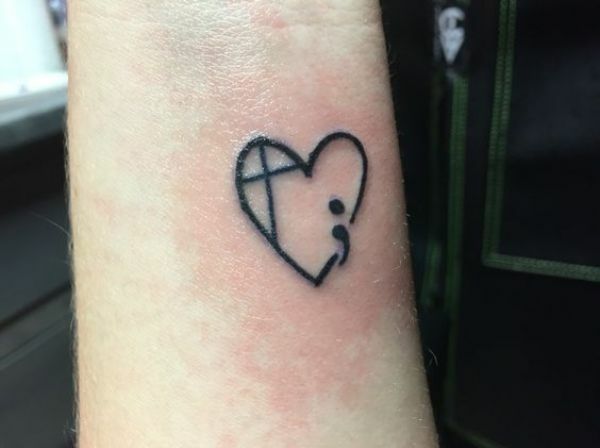 Otherwise, you can also choose this heart with cross and semicolon design. Simple yet substantive all in all. 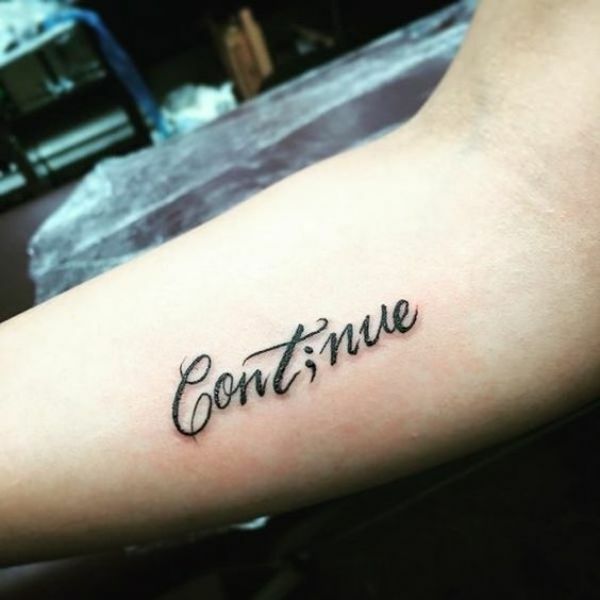 To encourage you of your continuing journey, you can choose this design as a reminder of things to come. In case you are searching for something with an ethnic vibe, you can choose this black ink tattoo. This creative and inspiring design is a fabulous option for you. 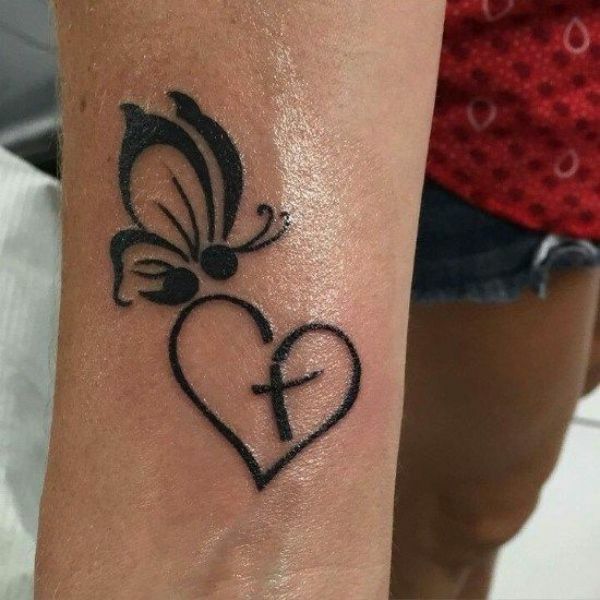 Alternatively, you can go for this cross and heart tattoo. 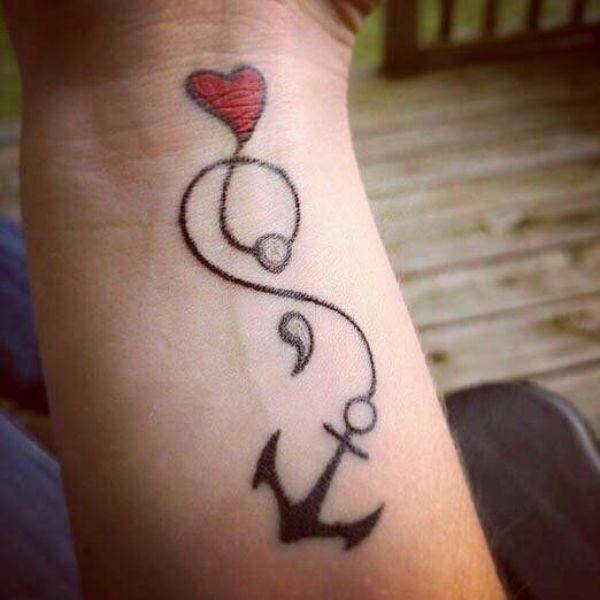 With the anchor tattoo symbolizing salvation and hope, combining it with the semicolon design is such a powerful image. The Trinity tattoo holds various meanings for different people. Nonetheless, merging it with the semicolon can represent the interdependence of life to all things around us. Tired of the plain black ink? 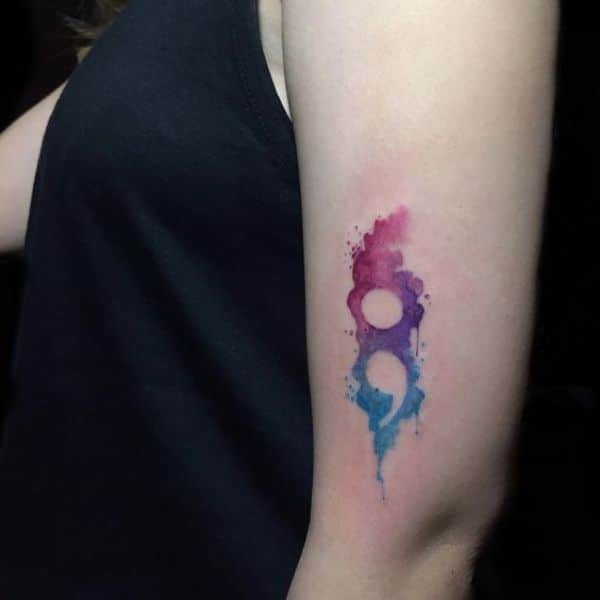 You can likewise opt for this watercolor tattoo. When a lot of issues are weighing you down, just remember to breathe. Regardless of its tremendous meaning, you can still have fun by getting this lady bug tattoo. In essence, life is only a heartbeat away. You can remind yourself of this by choosing this heartbeat design. 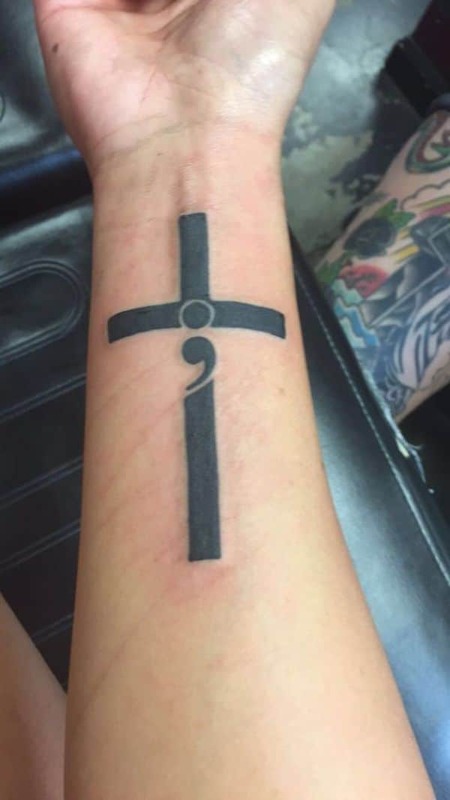 A cross and a semicolon, what a profound way to inspire you to love the life God has given us. In a way, colors bring life to a bland surrounding. 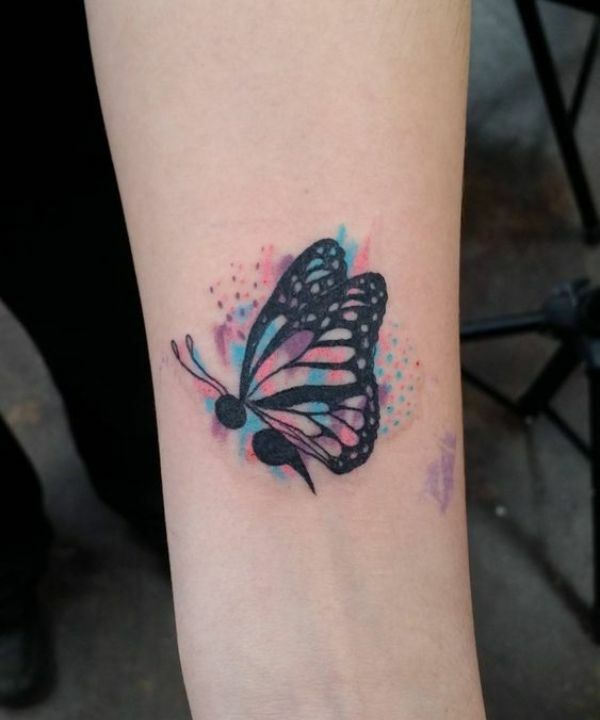 You can inject color and meaning to your life with this watercolor butterfly tattoo. Do you know that a Mandala’s function is to assist in converting an ordinary mind to an enlightened one? 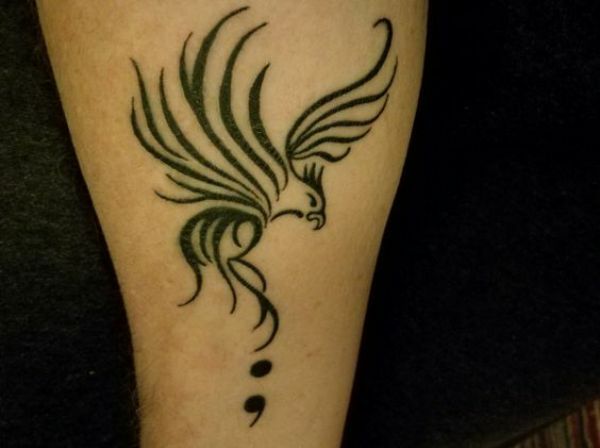 This symbolism and meaning will definitely help those who are struggling. Notably, some perceive the sun and moon tattoo as a symbolism of our emotional state. 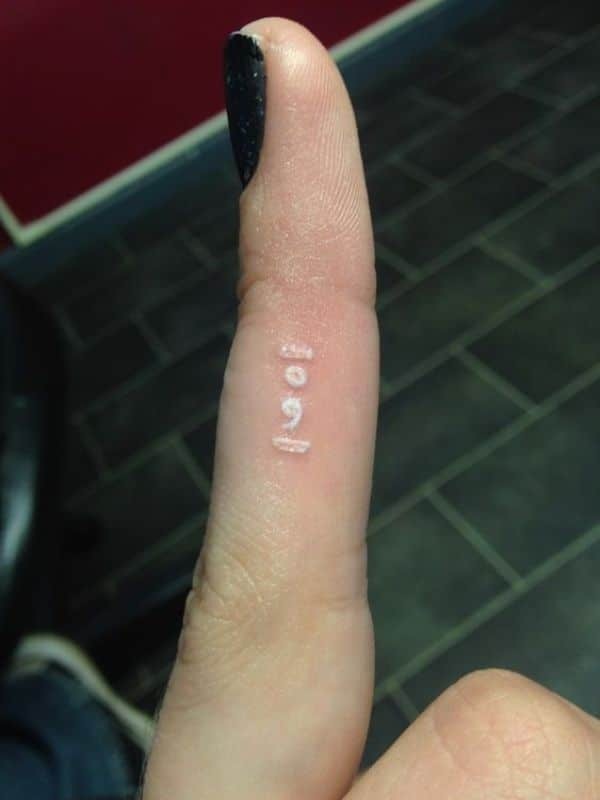 Nevertheless, it can also work as a semicolon ink. Show everyone the warrior in you with this tattoo artwork. Needless to say, others opt for a watercolor tattoo because they are tired of the plain black ink. However, it could likewise mean you are looking forward to your vibrant colorful life ahead. Need to remind yourself to always look in the bright side of things? Choose this white ink tattoo on the finger. 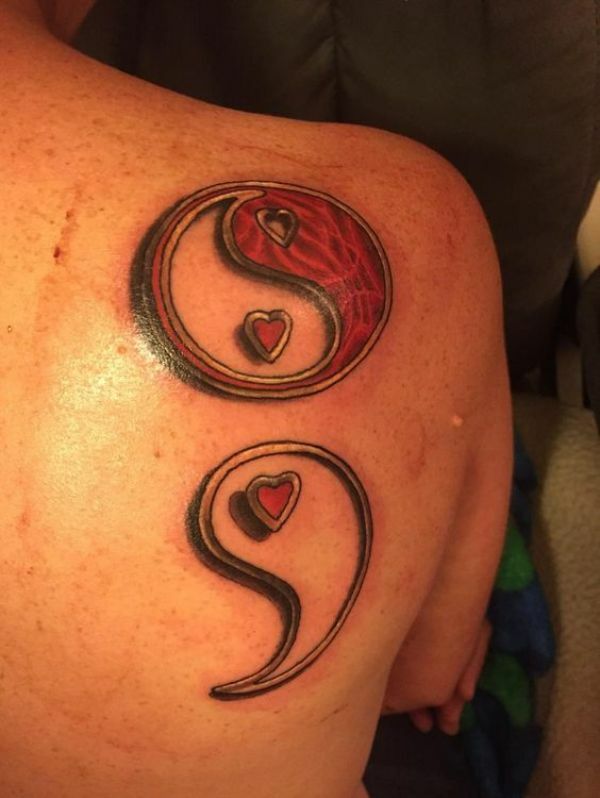 Besides a commitment to life, you can also create a Yin Yang design for your tattoo. 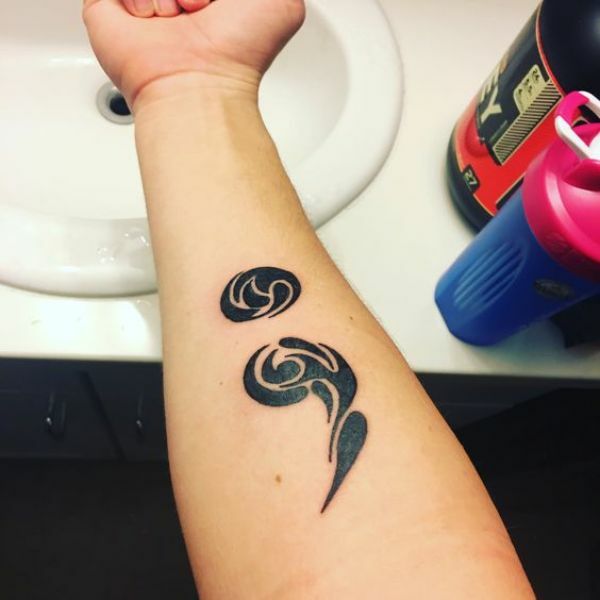 This ink design represents harmony and solidarity of life. 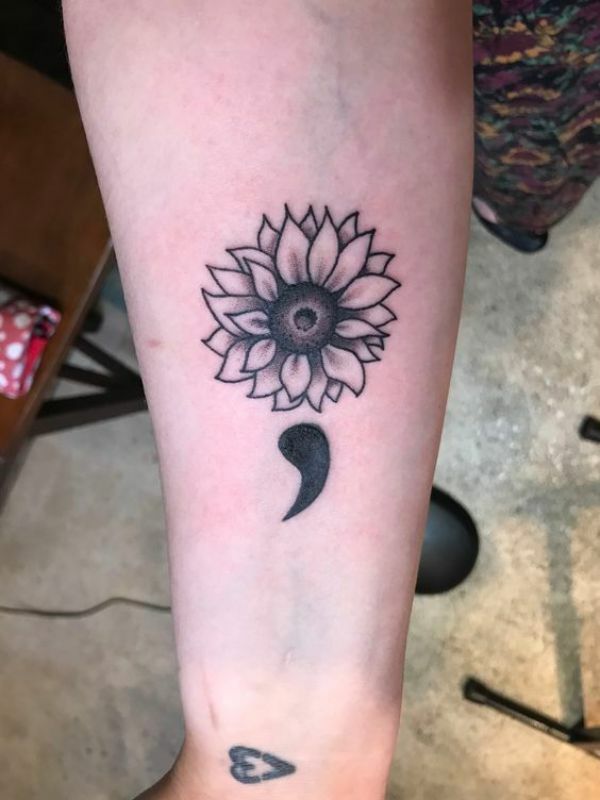 Looking for more semicolon designs? 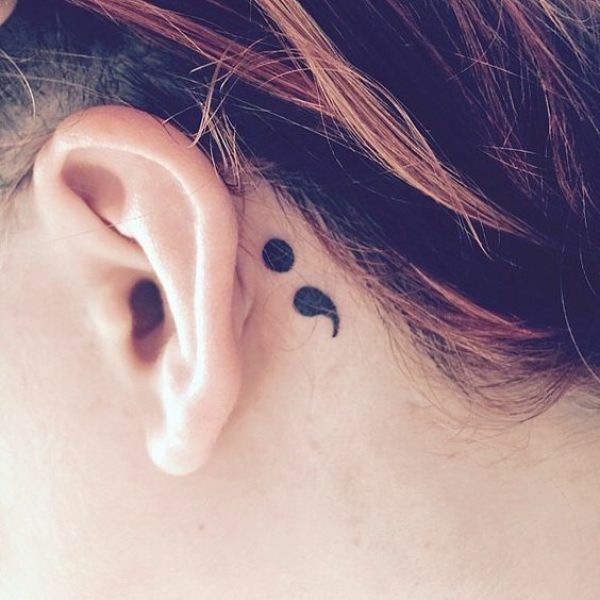 Say no more, here are more stunning semicolon ink. 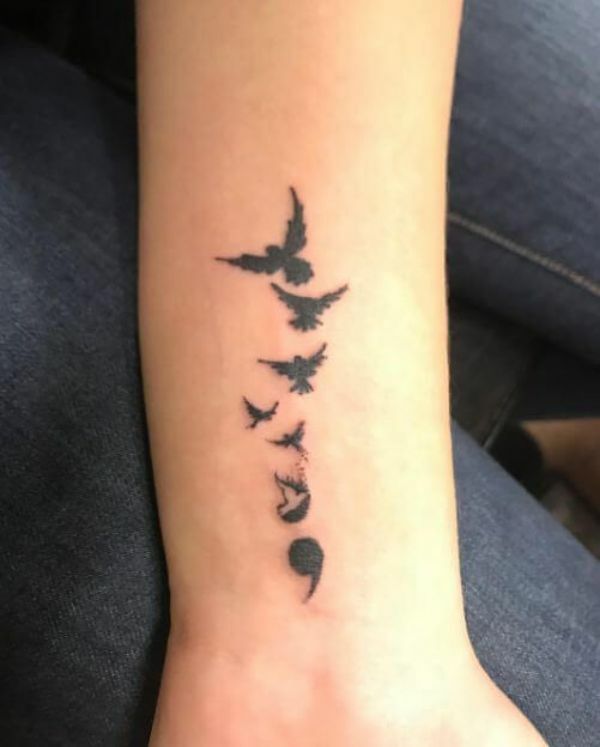 With these birds flying high, it creates a perfect artwork to combine with a semicolon. It stands for hope, peace, and love in life. 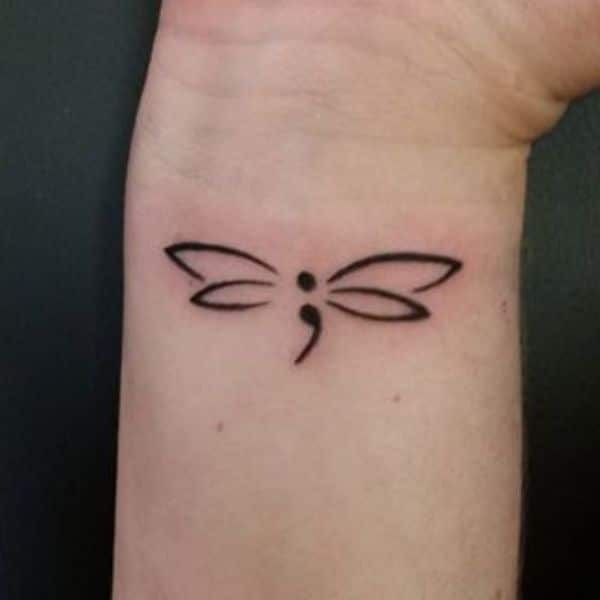 As mentioned earlier, there are a lot of butterfly semicolon tattoo ideas. Here below for one is a beautiful and realistic ink sample. The sunflower which appears like the sun is always associated with luck and happiness. 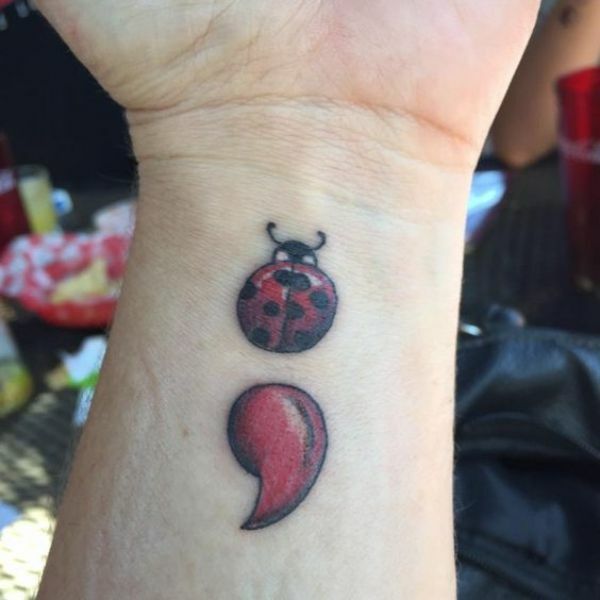 In combining it with your semicolon ink, these two aspects will hopefully increase in your life. 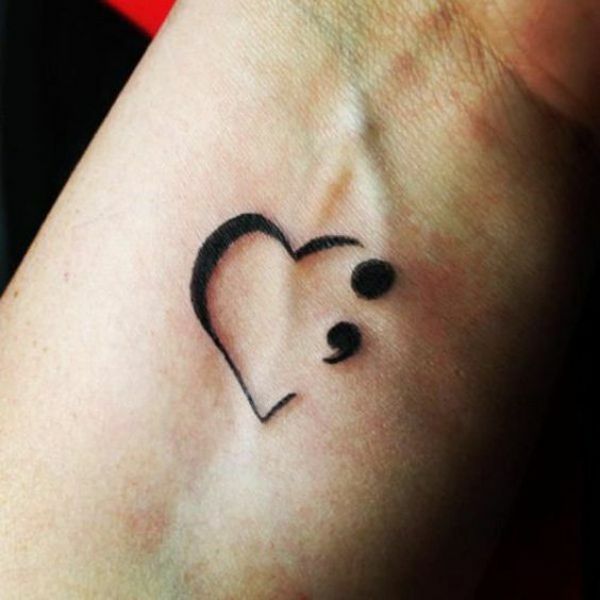 Once again, the heart semicolon tattoo meaning is to commit in loving life. 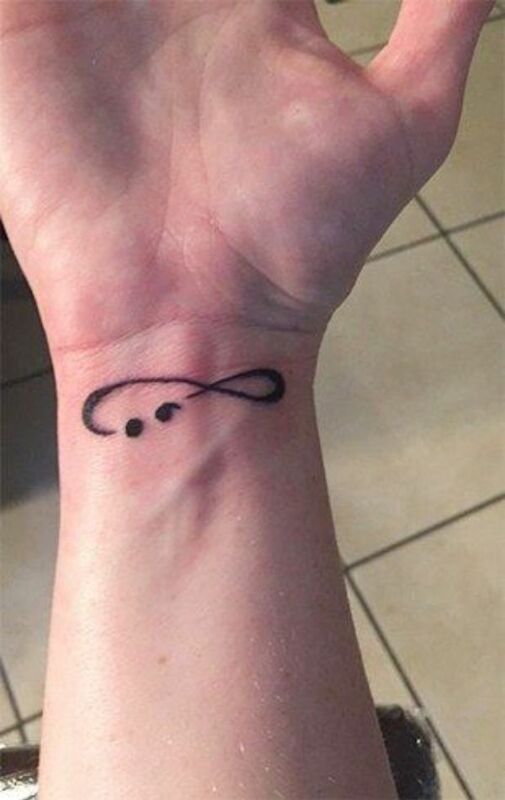 One of the popular ink design is the infinity tattoo. 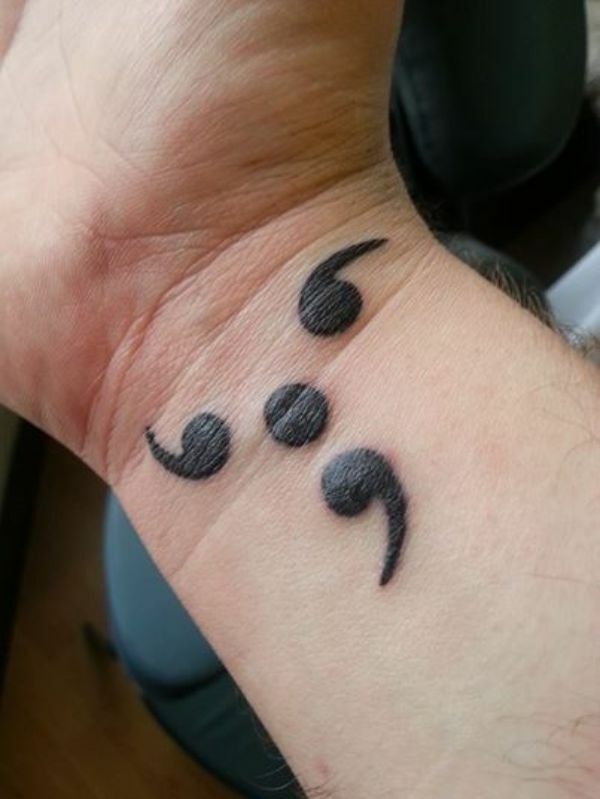 Adding it to the semicolon ink stands for the limitless possibilities in your life. Then again, it is not always about the struggles and obstacles you encounter. It can also be about your favorite feline that you love dearly. Are you a music lover? 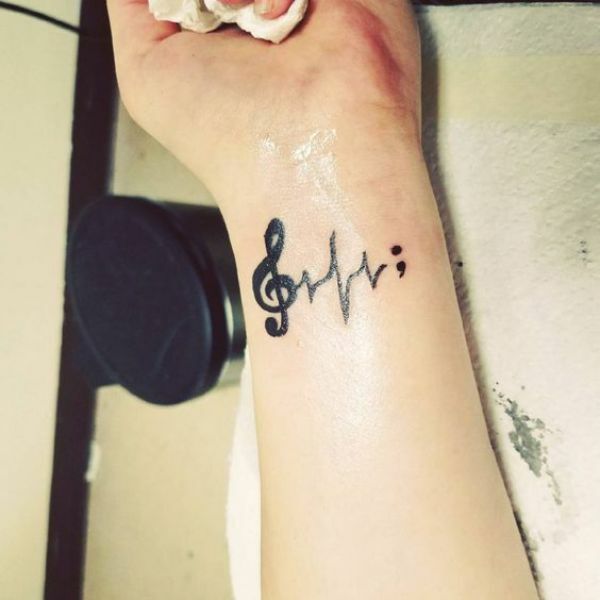 Fill your life with the melody of music with this remarkable tattoo. The Phoenix tattoo is seen as a renewal or start of a new life. 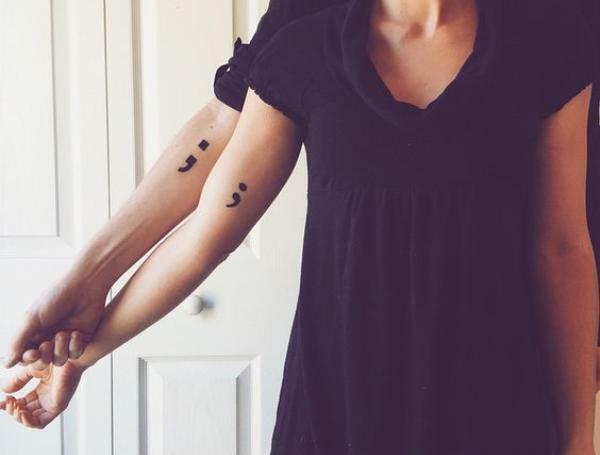 When you include in a semicolon, it can mean a promising life for you in the future. As previously mentioned, the semicolon and cross tattoo meaning shows your faith and love for life and for the one who created it. Like the butterfly, the dragonfly is also a favorite tattoo design. 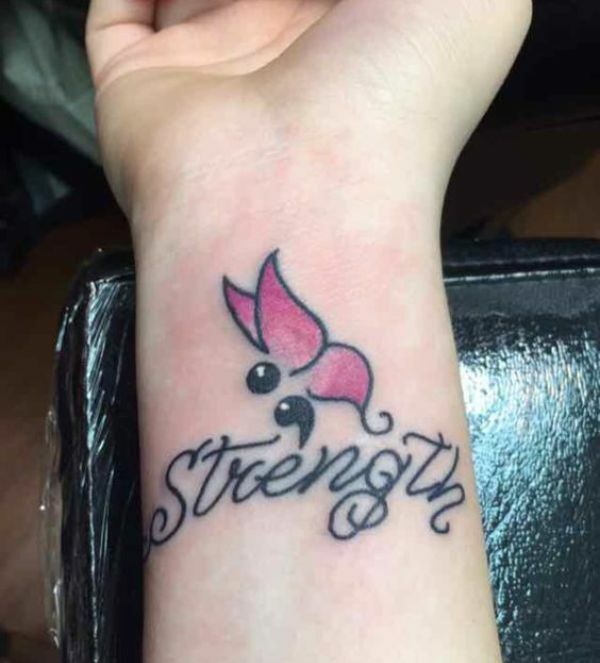 This artistic ink represents your strength and courage in facing life. Interestingly, it is not only the design that holds meaning to it. The person’s decision where to place the tattoo likewise adds to its significance. Placing a semicolon ink behind the ear means that the wearer will learn and listen to the insights of the past. A lot of people choose a wrist tattoo. For those with strong tendencies to hurt themselves, this is the ideal place to position their ink. In placing their tattoo there, they can reduce the temptation to harm themselves. Lastly, a tattoo on the finger sees to it that the individual doesn’t fight against his or herself in their everyday life. 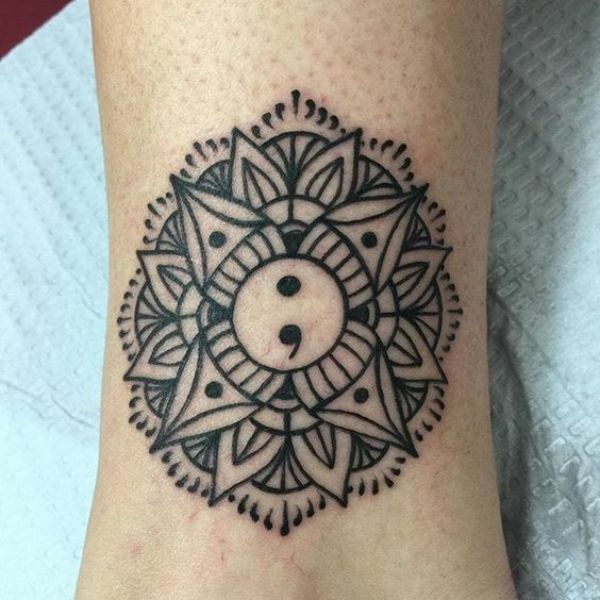 The tattoo reminds the individual to always respond or behave in a positive light. If it’s your first time to get inked, it is better to plan before heading to a tattoo parlor. On your scheduled day to get a tattoo, see to it that you got enough sleep and you had a balanced meal before getting inked. Moreover, make sure that you are well-hydrated on that day to cover you through the whole session. Similarly, pick clothes that you can readily take off or move so that the tattoo artist will have quick access to it. Lastly, in case you are taking medications or if you have a particular medical condition, inform your professional tattoo artist before getting inked. The price of a tattoo varies based on your location, tattoo size, and design. Thus, it is best to explore your options first before settling on a professional artist or a tattoo salon. 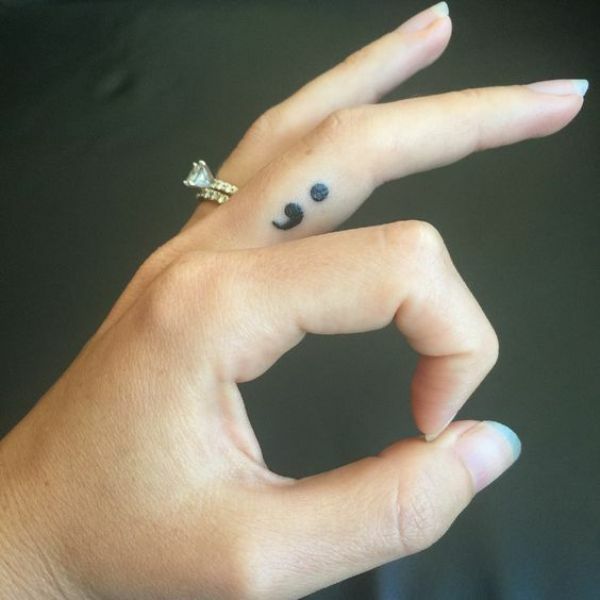 How much does a Semicolon Tattoo cost? In any event, a small tattoo can cost you around $40. Of course, if you opt for custom colors and design it will cost you more. Furthermore, if you prefer a design that is roughly the size of your palm or bigger the charge usually is based on an hourly rate of the artist. Again, the rate will depend on your location, but it is more or less $100 to $200 per hour. 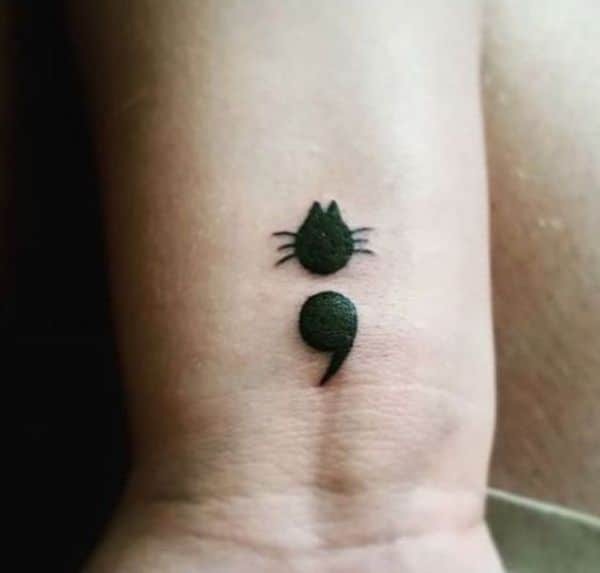 How long does a Semicolon Tattoo take? The time it will take to complete your tattoo will depend on several factors. First, it will depend on the size of the design. 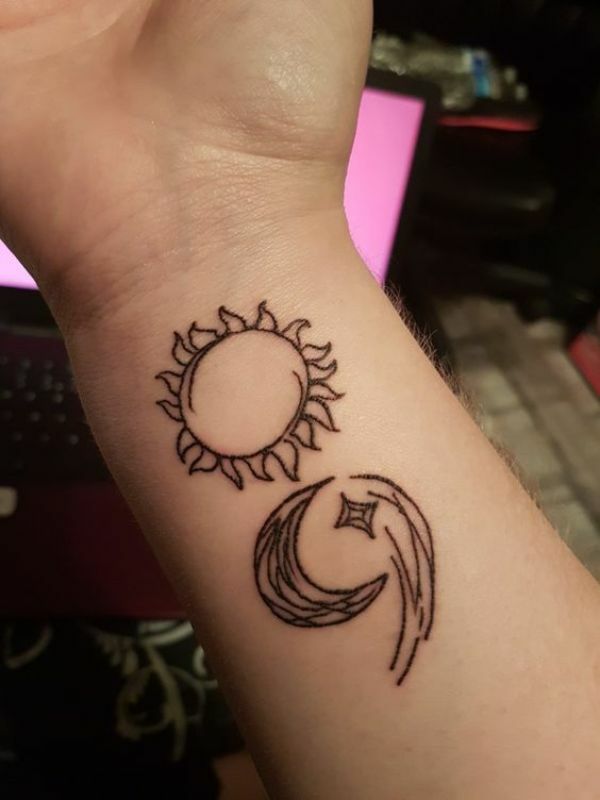 A small simple tattoo can be complete in five minutes. However, your pain tolerance must be also taken into consideration. All the same, discuss with your artist how long your tattoo will take. Don’t forget to choose a credible tattoo artist. Research carefully the salon or artist you choose, but it doesn’t mean you will look for the one with a bargain price. If you have friends who already have tattoos, ask for recommendations. In case you come across an artist who doesn’t want to answer your questions or makes you uncomfortable, then leave. 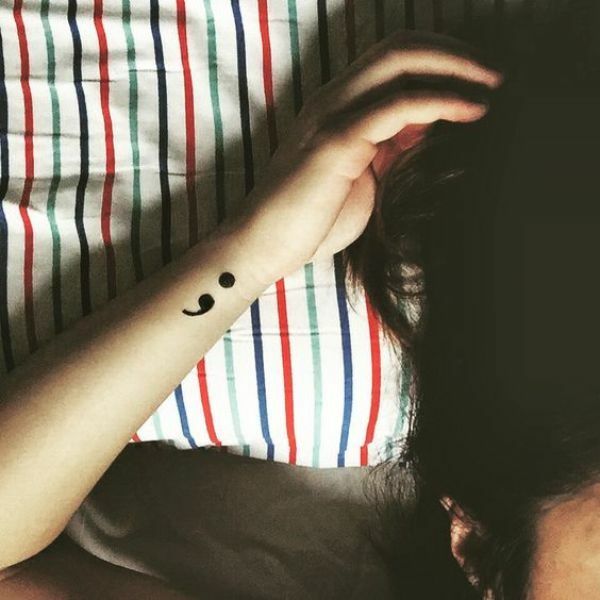 Undoubtedly, the semicolon tattoo is a perennial concept that is here to stay. In choosing your tattoo design, see to it that the concept you ink on your skin has an everlasting style. With the immense significance of this ink, it is absolutely a sensible and brilliant idea.